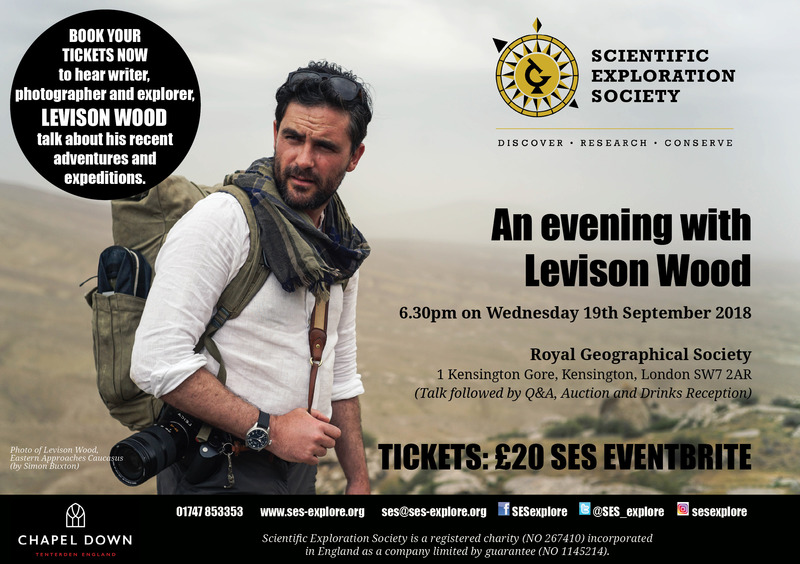 The SES is delighted to announce that SES Members and Friends are invited to 'An evening with Levison Wood' - an SES charity event on Wednesday 19th Septemberat the Royal Geographical Society. Levison Wood is a professional explorer, writer and photographer. Since 2014 he has had four critically-acclaimed Channel 4 documentary series, in which he has walked the length of the Nile, Himalayas and the Americas and crossed the Caucasus in From Russia to Iran: Crossing the Wild Frontier. Levison’s second book, Walking the Himalayas was voted Adventure Travel Book of the Year at the Edward Stanford Travel Writing Awards and his most recent, Walking the Americas, was a Sunday Times bestseller. He is an elected fellow of the Royal Geographical Society and the Explorer’s Club. He has completed a circumnavigation of the Arabian peninsula, taking in thirteen Middle Eastern countries, which will become a documentary series and book later in 2018. The talk will be preceded with a drinks reception, kindly sponsored by CHAPEL DOWN, and followed by a raffle raising funds for the SES and book signing. Levison Wood's books will be available to purchase at the Stanfords pop-up shop.